lockwood – The official website of author and storyteller David Neilsen! I’m big on worlds. Creating them, exploring them, trying to figure them out, discovering all the little nooks and crannies they contain. When a writer creates a good world, he or she gives us a place to plant our feet and get comfortable. When he or she fails at this task, the story is generally a lost cause. The first rule of writing (besides not talking about writing–because it bores people) is that there are no rules. You want to write a story about a lip-reading cat that chews gum and shoots lasers from its ears? Go right ahead. That sounds awesome. Just know that once you’ve set the rules of your world, you need to stick to them. If the cat shoots lasers from its ears for the entire book, and then once shoots lasers from the tip of its tail for no particular reason, you’re cheating. And the reader knows. My favorite example of this in movies is with the original 1989 Batman movie with Micheal Keaton and Jack Nicholson. There’s a scene in the build-up to the end where Batman comes flying down the street in the heavily-armored Batplane shooting everything is sight. He is nigh-invulnerable. Then Joker steps into the middle of the street. Batman fires his high-tech, multi-pulse, computer-targeted cannons at the guy standing still in the middle of the street and misses. Then the Joker pulls a handgun out of his pants, fires once, and brings down the Batplane. The rules of the movie were pretty simple. Batman has a ton of high-tech gadgets that blow everything away. The Batplane should not have been brought down by anything less than an anti-aircraft missile. Joker was caught in the cross-hairs. He should be dead. End of story. We can all go home about 15 minutes early. My rant against 1989’s Batman (which overall is a pretty fun movie) aside, my point is you build your world, you stick with it. So make it good. I take a lot of time in my writing building my world. I want it to resonate, be interesting, yet also work for the story. If I need a cat to shoot lasers out of his tail at the end, then I mention up front that she has that ability, but chooses to use her ears because her tail is sensitive. I am very excited about the world I’ve created in Beyond the Doors. I kinda think it’s something new (though really, nothing is new anymore, right? How many actors have played Batman now?). I did a lot of crossing the t’s and dotting the I’s. Really trying to make the world a singular experience that does all I need and allows for many more adventures should the need or desire arrive. Book Three also has a cool world, and one that, quite honestly, I’m chomping at the bit to return to. There are so many wonderful stories to tell! Right now I’m reading the fourth book in a series set in one of the best worlds I’ve seen created. 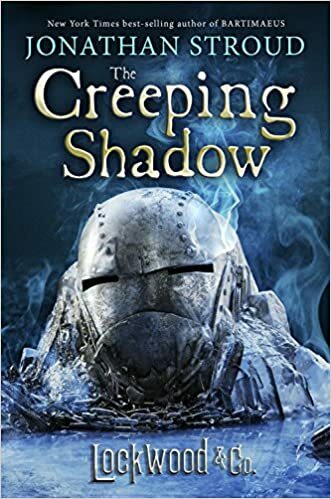 Jonathan Stroud’s The Creeping Shadow, Book Four of the Lockwood & Co. series. 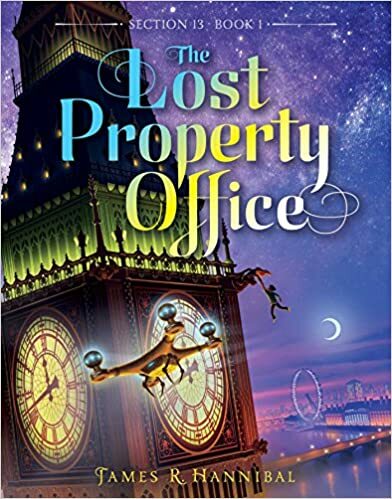 I have loved every one of these Lockwood & Co. novels, and find myself racing through the book, marveling at the intricate world Stroud created. Frankly, I’m jealous. It’s just so ridiculously cool. The basic concept is that it is modern day England, except that at some point about 50 years ago or so, ghosts started coming out of the woodwork. Their touch can kill. But only children can see them. So teams of children are hired to rid haunted places of their ghosts. What’s not to love? 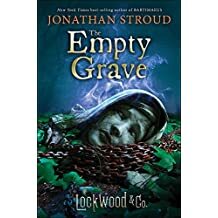 I am reading the second book in Jonathan Stroud’s Lockwood & Company series, The Whispering Skull. As you may remember from a previous blog post, I enjoyed the first book, The Screaming Staircase, but was incredibly disappointed when I figured out the twist ending 3/5 of the way through the book. I’m very pleased that nothing has happened to make me displeased because I really, really, really like the world he’s created with this series. It is cool. It is slightly silly. It is chilling. It is exciting. It feels realistic. I want more (I’ve already ordered book 3 on Amazon). It got me thinking about the importance of the world we create in our writing. For me, the world of the story has always been the most interesting aspect of a book. Give me a world fully-thought out and I’m yours. It’s what I try to do in my own writing. In many ways, the very distinct world of Dr. Fell and the Playground of Doom (pre-order your copy today!) is what sold it to the publisher in the first place, and I take great pride in that fact. While writing it, I felt the world take shape, becoming a character all its own. I tell anyone who asks that the book really wrote itself. This is true, because I just woke up one day and my laptop was open and words were appearing on the screen while the cats floated upside down above the keyboard vomiting blood. But the strength of the world brought me back to the keyboard. I wanted to exist in the world I’d created. It made coming back to pound out the pages an easy, enjoyable task. The hard part was accepting when I’d finished it. I almost felt like my access to this wonderful world had been cut off, now I could do nothing but wait until the rest of you got to visit. Or write a sequel. Which I’m itching to do. I’ve got the plot, the characters, the story all set up. Even written a few initial chapters. I just need the book to do well so the publisher wants a second. So it’s up to you. Buy it. Buy many copies of it. My fate rests in your hands. No pressure. I take great pride in my secondary characters and locations, making sure each one has a personality and point of view. Often times they are as interesting as my main characters (I was going to say they are sometimes more interesting than my main characters, but I don’t think that’s a good thing for me to say). But a world is more than the characters within it. It is also the set-up. In Stroud’s Lockwood & Company series, the set-up is that 50 years ago ghosts started coming up and bothering people. To combat this, child agents (children are the only ones who can sense the ghosts before it is too late) combat these ‘Visitors’ whenever they appear. It’s cool. Fun. Also relatively simple, which is a good thing. Stroud gives himself a narrow window through which to craft his world, and he takes advantage of the focus. Every minute detail has been thought out. Nothing is by chance. The man did his homework. I am writing Book 3 with this in mind. It is a distinctive world, and I need to make sure every detail is important. That nothing is left to chance. I try to keep the geography of the book in mind as well. If I do my job well (fingers crossed), then the result should be a world readers will want to revisit again and again. I hope the coming year brings you wonderful things and multiple viewings of The Force Awakens. I finished reading a book yesterday. This in and of itself is news because it means the book was good enough to keep my attention the entire way through, which is not always easy. The book is The Screaming Staircase, the first book in Jonathan Stroud’s Lockwood & Co. series. 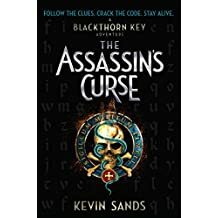 I really enjoyed the world he set up, and his prose was smooth and kept me turning pages, so I recommend it to anyone looking for a fun, supernatural middle grade yarn. And now I’m going to go all negative on it. Not that it’s bad, because it isn’t (see my recommendation above). But it commits a fatal flaw that would have had me toss the book aside if Stroud wasn’t as good a writer as he is. OK, in all seriousness, here’s my beef. Stroud gives us a mystery. A whodunnit. It is not the central plot of the book, but it is a large element. He then gives us a suspect–a horrible man who was the last known to see the victim alive. There is no direct evidence implicating this man, but our characters very quickly decide it has to be him. He’s just so evil, it must be him. So he’s arrested. The fact that he’s a red herring is so ridiculously obvious, my four-year-old cat could have picked it up. In fact, she did. She was on my lap while I read the book, and when the new guy showed up, she jumped off my lap and threw up a hairball. He’s not a Red Herring, he’s a (title of post alert) Bright Red Herring in Flashing Neon. With big yellow arrows pointing to him and a dancing penguin tap-dancing ‘red herring’ in Morse code on the page. Then another character shows up out of the blue with a too-good-to-be-true offer for the characters. While there is no mention of any connection to the murder, anyone with a pulse (and many without one, this is a supernatural story about ghosts after all) notices that the new guy has all the necessary factors that would connect him with the murder. He’s the right age. He’s a guy. I get to the end (enjoy the the read the entire time) and the reveal lays out for me like a kitty hoping for a back rub. And it’s exactly what I thought. And I’m bummed. Did knowing the twist dim my enjoyment of the book? Yes, though only a bit. I’m still planning on reading the second book of the series, because the world is really cool and the characters are fun to follow. But Stroud’s a good author. Why, then, did he telegraph his twist? One of his problems is a lack of suspects. In the immortal film, Throw Mama From the Train, Billy Crystal explains to Danny DeVito that DeVito’s book doesn’t work because it’s called “Murder at My Friend Larry’s” and there are only two characters, one of whom dies half-way through. By creating such an obvious red herring, Stroud leaves us wondering who the real killer might be. Since the murder happened 50 years ago, we know it has to be someone old enough to have been alive 50 years ago. At the time of the red herring, there is literally no other character old enough to have committed the murder. And then we suddenly, out-of-the-blue, meet an older character. It’s not hard to connect the dots. My upcoming novel Dr. Fell and the Playground of Doom (have you pre-ordered your copy yet?) doesn’t really have a ‘gotcha!’ twist in it, but my second book, the untitled (for now) book being published in 2017, does. I spent a lot of time with my reveal, working backwards, making sure it wasn’t obvious. Leaving tantalizing hints that are not too obvious, but also making sure there are other plausible suspects. I had my advanced readers let me know if they thought it was either too obvious or too ‘swooped in at the last minute with something new so there is no way anyone cold have possibly guessed.’ In the end, I feel fairly confident that my twist will be truly twisty. Why didn’t Stroud take the same precautions? Writing twists is a time-honored task for a writer, an opportunity placed in our hands that we must care for and nurture. It is not to be attempted by hacks (not that Stroud is a hack, I just think he got lazy). So if you’re out there writing a story and you’re considering using a red herring, know that you do at your own peril. Red herrings can be tasty, but if you don’t de-bone them properly, you’ll end up choking, rupturing your esophagus, and frothing up a spout of blood.